My mother-in-law always put a variety of whole nuts in the bottom of everyone's Christmas stockings. It's a tradition that has been passed down in her family, and I'm sure other families do the same. But why do we serve whole nuts for the holiday season? Many of us think of the old-fashioned wooden solider that cracks nuts with his jaw. The nutcracker is a symbol that depicts the Christmas story of "The Nutcracker and the Mouse King," and was later choreographed into the famous Nutcracker Ballet. Of course, there are more practical reasons to include nuts during the holidays. Most nuts are harvested in the fall, making them the freshest of the bunch and generally, the least costly since most are on sale at this time. Nuts are a healthy snack option. They're high in healthy fats, including monounsaturated and polyunsaturated fats, which may help to decrease blood cholesterol. They're also packed with fiber and protein to help keep you full for longer. Store nuts in or out of the shell at room temperature for two to four weeks. For longer storage time, place in the refrigerator for one year or the freezer for two years. Nuts can be thawed and refrozen repeatedly without any significant loss of flavor or texture. 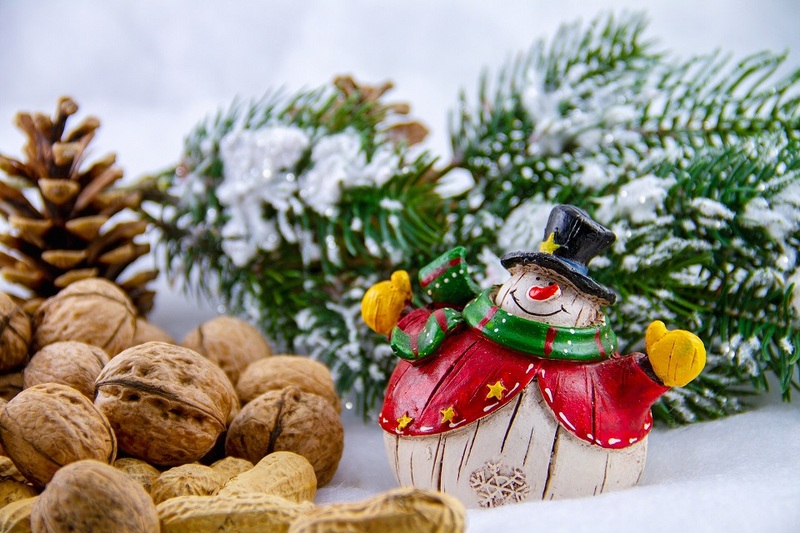 Consider cracking whole nuts this holiday season; it can be a fun tradition even for that person that is a tough nut to crack. Preheat oven to 400°F. Spray 12 muffin cups with cooking spray. Combine 2 Tablespoons sugar and ½ teaspoon cinnamon in a small bowl; set aside. In a large bowl, combine cereal and milk; set aside for 5 minutes. In a separate bowl, combine 6 Tablespoons sugar, 1 ½ teaspoons cinnamon, flour, baking powder and baking soda. Whisk pumpkin, egg and vanilla into cereal/milk mixture. Fold in dry mixture, being careful not to over mix. Spoon into prepared pan and sprinkle with pecans and sugar-cinnamon mixture. Bake for 20-25 minutes or until a toothpick comes out clean.